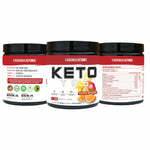 House of Keto Monitor™ is a quick, affordable and convenient way to accurately measure ketones to determine if you are in a fat burning state called “nutritional ketosis”. Quickness- House of Keto Monitor™ determines whether you’re in a state of ketosis in about 20 seconds. Convenience - House of Keto Monitor™ is a small, light, re-usable, non invasive, portable device - Take it with you everywhere you go. Ease of use - No need for messy blood or urine samples, everything is done through single breath. Accuracy - correlates well with the benchmark blood based ketone tests. 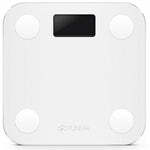 Cost - House of Keto Monitor™ is far the most affordable breath based ketone measuring device on the market. How does House of Keto Monitor™ work? House of Keto Monitor™ utilizes technology to measure ketones via breath analysis of acetones. Read more about how House of Keto Monitor™ works and how to use it here. Numerous scientific studies as well as anecdotal evidence has shown that Ketogenic diet is the most effective health optimizing, performance improving and weight losing diet. To read more about the science behind the ketogenic diet click here. 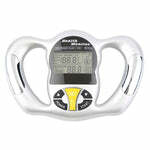 Measuring states of ketones will tell whether your body is burning sugar or fat for energy. It will help you make dietary adjustments and keep you on the right path. Read more about the importance of measuring ketones here. 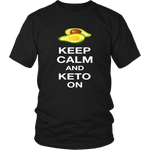 House of Keto Monitor™ - Measure ketones the easy way!